It’s no secret that weddings are expensive. You want everything to be perfect, but sometimes there are little details that seem like a waste of money from your budget. However, weddings are also stressful, and the idea of having too many projects that you have to do yourself may seem overwhelming. Here are a few easy DIY project ideas for your wedding that are simple, elegant, and will help you to save money for other aspects of your big day. A reception space for a wedding is like a blank canvas. You can transform it in to anything you want. Having chair backs will add to the beauty of your reception space and make the space more your own. You could use tulle and flowers or a more substantial fabric, such as silk. These can be tied, sewn, or simply draped over the chair. Whatever you choose to do will depend on your personal style and vision for your wedding. Chair backs are definitely an easy and inexpensive project that you could do yourself (or with the help of a few friends). 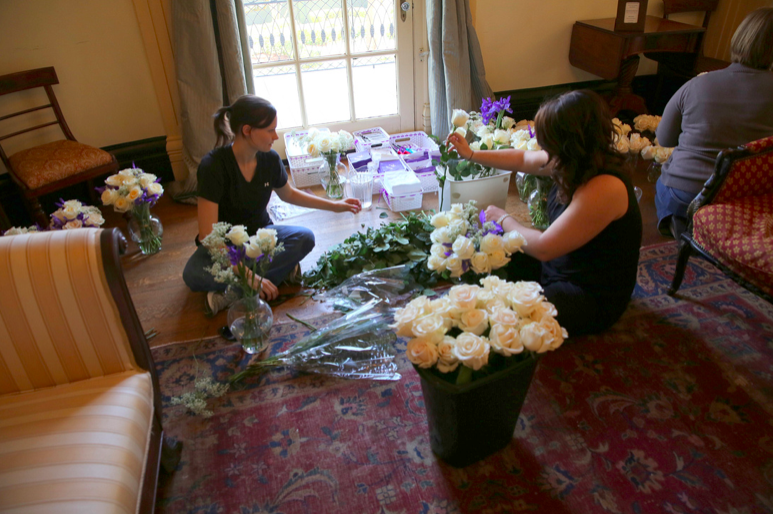 While not everyone chooses to have assigned seats or tables for their wedding, many do. Ordering these online can be very expensive, but this doesn’t have to be an expense you worry about. It is easy to find some nice, thick paper and write names with nice penmanship, or ask a friend who is good at calligraphy to write them. 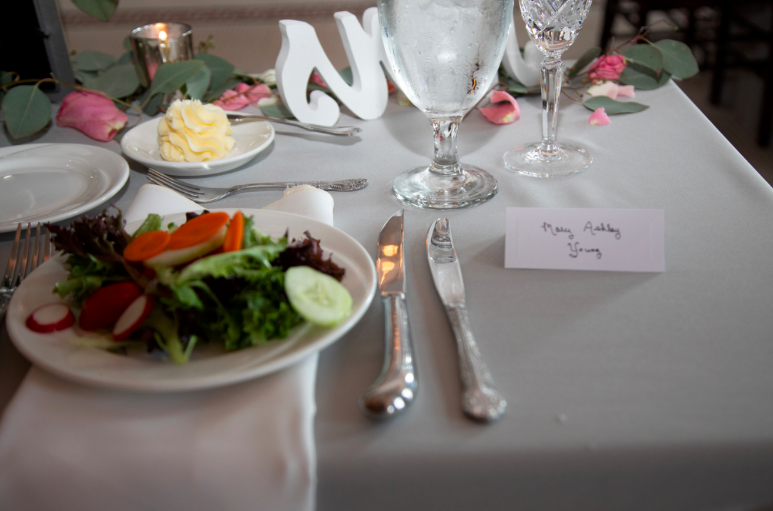 Place cards can be as simple or as elaborate as you would like, and they provide a very personal element for every person attending your reception. Welcome signs have become a very popular trend over the past several years. Sometimes these simply say “Welcome” and then list the names of the bride and groom. Sometimes they have cheesier quotes on them about picking a side to sit at the ceremony. 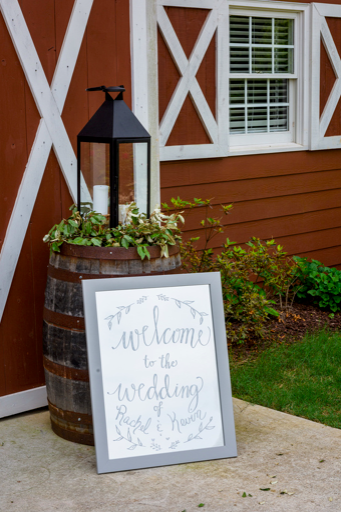 Either way, these welcome signs should be a touch to your wedding that should cost you little to nothing. You can purchase a slab of wood, paint or stain it, and paint or write whatever you want on the sign. Again, these signs are a simple element that will make your wedding unique and personal, but it definitely should not break the bank. What you want for your ceremony venue decor will vary depending on your style. 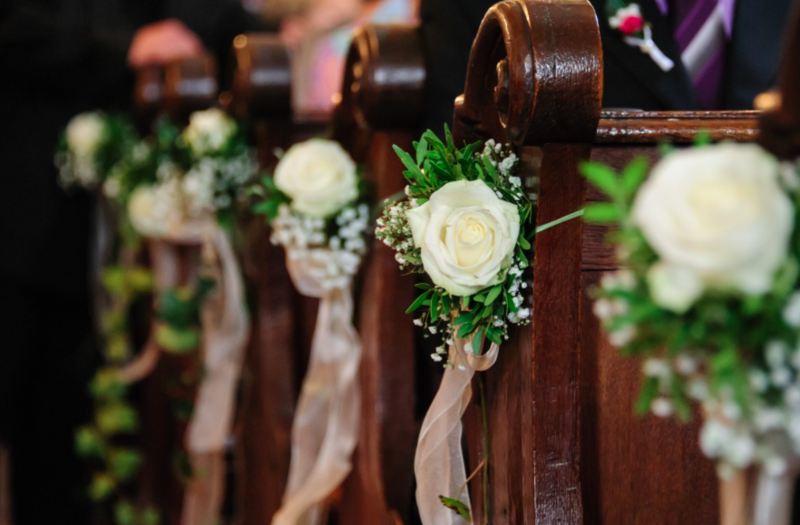 You could drape fabric on the pews/chairs of the aisle, hang mason jars with simple flowers or candles, or use wooden buckets with more elaborate flower bouquets. These are just a few ideas, however, there are endless possibilities. 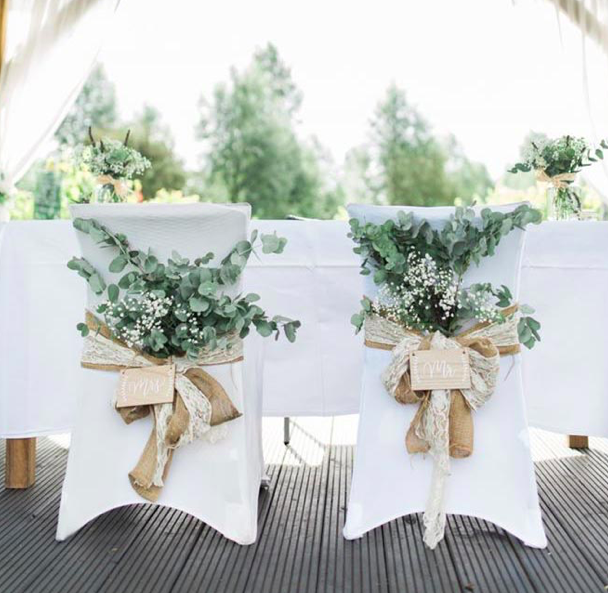 Whether you have an indoor or outdoor ceremony, these little touches can provide an element of structure to your space, as well add to your desired look with your venue decor. 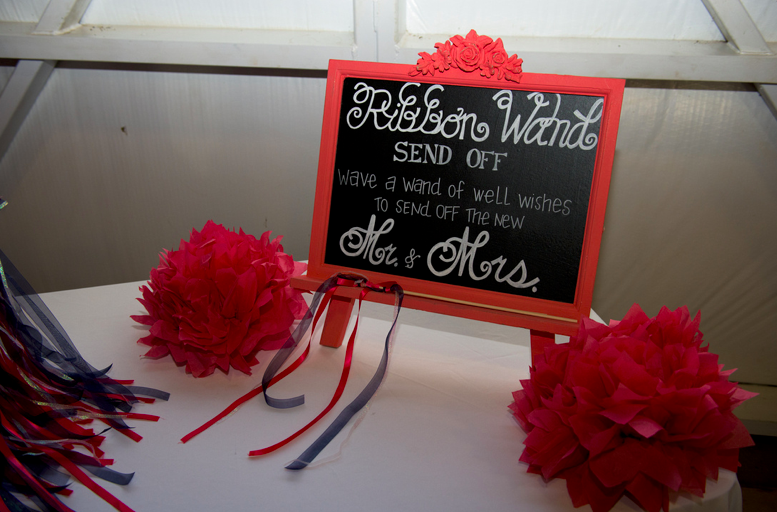 Much like welcome signs, couple send-offs following the reception have becoming incredibly popular. These send-offs bring together everyone attending your wedding and will make for great photo opportunities. There are so many options that you can choose from: buckets of sparklers, little envelopes with flower petals, clear bags with rice. While some of these send-off ideas might be more tedious to assemble, they are all fairly inexpensive, easy to put together, and not too messy. 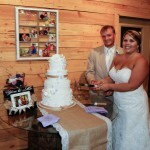 There are so many more DIY ideas that you can create to personalize your wedding, as well as cut back on a few costs. The biggest thing to remember is that these DIY projects should be easy and pretty stress free. Use them as a time for you and your mom, grandmother, sister, or girl friends to bond, while preparing for one of the most special days of your life!